The Japanese government has made the formal decision that the Monju prototype fast breeder reactor (FBR) will not be restarted and steps will be taken to decommission it. However, the government also said the country's development of fast reactors would continue. A key part of Japan's nuclear energy program, the 280 MWe Monju FBR in Tsuruga City, Fukui Prefecture, initially started in 1994. However, it was shut down only four months later after about 700 kilograms of liquid sodium leaked from the secondary cooling loop and, although there were no injuries and no radioactivity escaped plant buildings, this was compounded by operator attempts to cover up the scale of the damage. It eventually restarted in May 2010 but has not operated since refuelling equipment fell into the reactor vessel during a refuelling outage later that year. 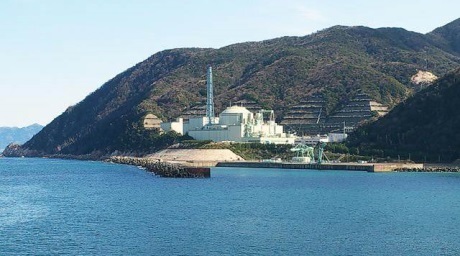 The equipment was subsequently retrieved and replaced but the Japanese Nuclear Regulation Authority (NRA) did not permit the reactor to restart. In November 2015, following concerns over equipment inspections, the NRA determined JAEA was not competent to operate the reactor. At a ministerial conference yesterday, the government formally announced its decision to scrap the idled Monju reactor. It noted the high cost of upgrading the reactor to meet new safety standards introduced following the March 2011 accident at the Fukushima Daiichi nuclear power plant. The government said it would oversee the project to decommission Monju. The announcement came after the governor of Fukui prefecture, Issei Nishikawa, said the dismantling the reactor should not be left to JAEA, which he regarded as incapable of safely carrying out the task alone. The decommissioning of Monju will take 30 years and cost more than JPY375 billion ($3.2 billion), the government estimates. This includes JPY225 billion for maintenance, JPY135 billion for dismantling the plant and JPY15 billion for defuelling and preparations for decommissioning. Under the decommissioning plan, Monju's used fuel will be removed by 2022 and dismantling of the reactor will be completed by 2047. A new policy was also announced for Japan's development of fast reactors. The government said the incidents at Monju had led to a "stagnation" in the country's fast reactor development, as well as increased costs. However, it maintained the development of such reactors will continue. The government noted Japan's basic energy policy - decided by the Cabinet in April 2014 - aims to promote the nuclear fuel cycle, including the promotion of fast reactor development. Plans for a research centre for nuclear technology to be developed in the area around the Monju site were announced. Alternative designs of FBRs would be explored. The government said it would "thoroughly utilise" the technology, knowledge and human resources Japan has already built up in fast reactor development. In addition, it will look for international cooperation to promote fast reactor development. Akio Takahashi, president of the Japan Atomic Industrial Forum, said: "In light of the current situation of uranium supply and demand, commercializing fast reactors is perhaps not so urgent. However, it is very important for Japan - a resource-poor country committed to being a global leader in science and technology - to continue the technological development of fast reactors in anticipation of the future." JAEA chairman Toshio Kodama said, "In addition to effectively utilizing the results of our research and development - including the results obtained through the development of Monju so far for future fast reactor development - we will contribute to the development of state-of-the-art fast reactors in Japan by making maximum use of the human resources and equipment, etc of this organization according to the established 'fast reactor development policy'."